One of the prize finds on E-Bay or in an antique shop is a Manicule. 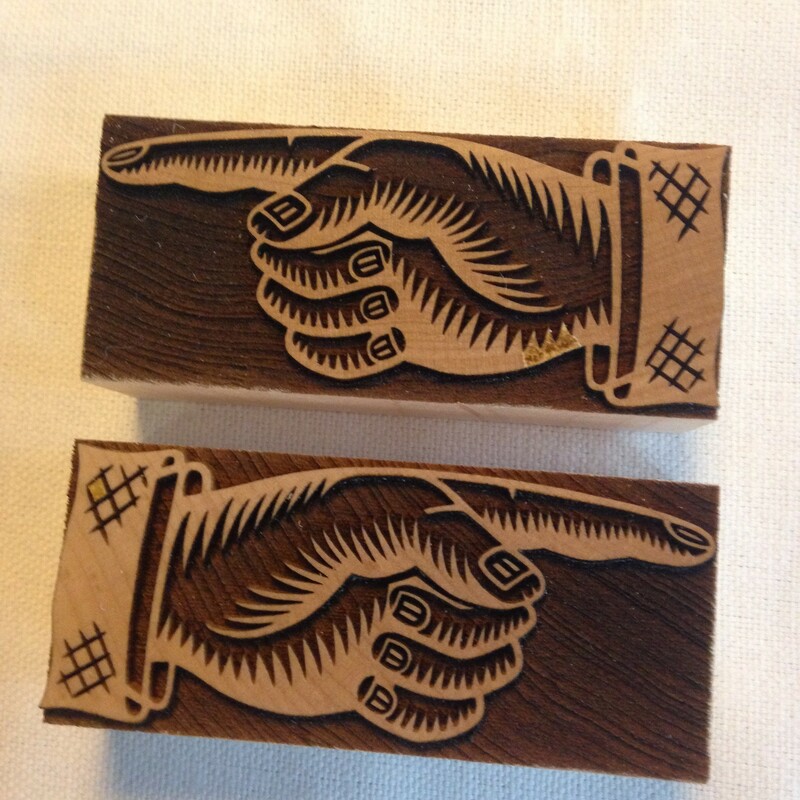 That is the historic name for what some people call a “Printer’s Fist”, a “Pointer”, or an “Index”. They have been cast in hot metal for hundreds of years, and pantograph cut in hard maple starting around 1835. The wood type versions could be made in larger sizes by using a pantograph and the skills of a room full of women engravers and type trimmers. 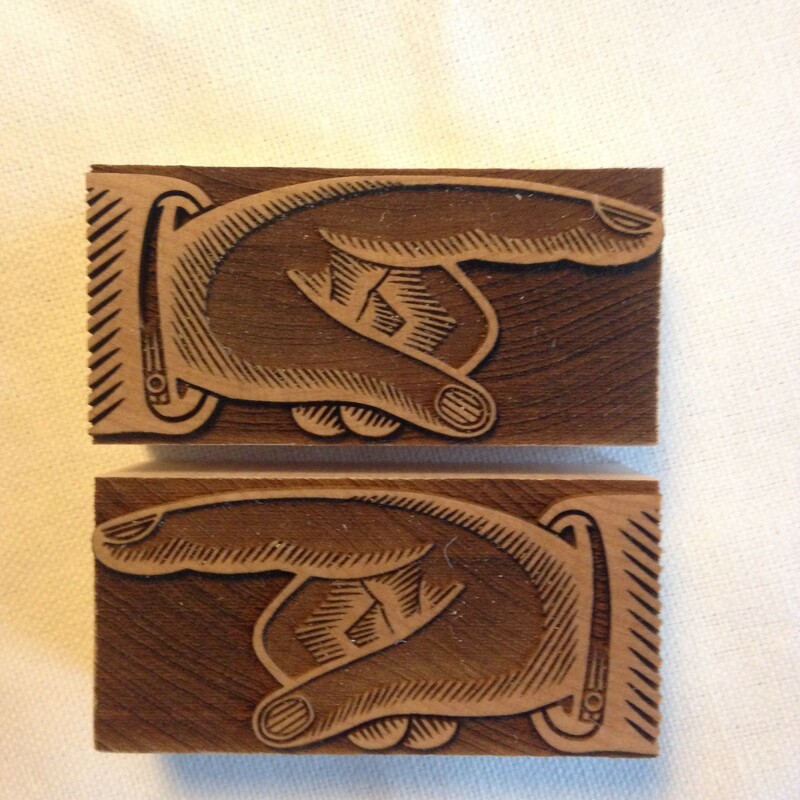 I have been making manicules based on historic wood type specimen books for about five years. 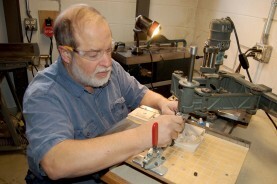 For the first few years they were pantograph cut solid ones and open ones because I have not done any engraving for about 40 years since I was in college. When I was lucky enough to get access to a CO2 laser at a local makers space, I was finally able to add the engraving lines. The original idea was to pantograph cut the basic shape in end grain hard maple and use the laser to add the engraving line. 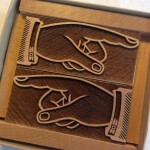 Now that I own my own 90 watt CO2 laser I have created four different manicules to sell. solid one is based on a design from a 1905 Tubbs & Company specimen, the open one is from a Morgans & Wilcox specimen book from 1898. The engraved one with the fine lines is from the Hamilton Wood Type Company specimen book #14, and the coarse engraved one was traced by Gregory Walters from an old specimen book in his collection from the UK. The English seem to like larger engraving lines. 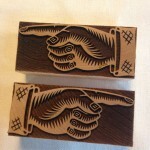 All four designs I make are sold as pairs, to allow the printer more choices in the design. They are 15 pica, 12 pica, 10 pica, 8 pica and 6 pica line size tall. The larger ones are easier to design because the smaller ones need modified to be an “Optical Pattern”. Designer, Nick Sherman, explained to me that as you reduce the size of the design, the engraving lines get so thin that the side heat of the laser will wipe out the fine details. That means I had to go into the design and removed every third engraving line and then spread the rest out to cover the gaps. I also went to the trouble to carefully trace four sloghtly different engraving lines and mix them up on the type. The biggest problem I have had selling manicules to printers around the world is getting them to order the correct ones. 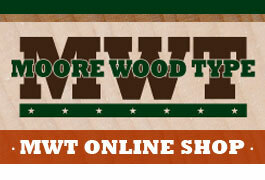 Wood type is made “Type Reading” or backwards so that when it is printed the resulting impression is “Right Reading”. If the pointer finger on the type points to the left, it will print pointing to the right. 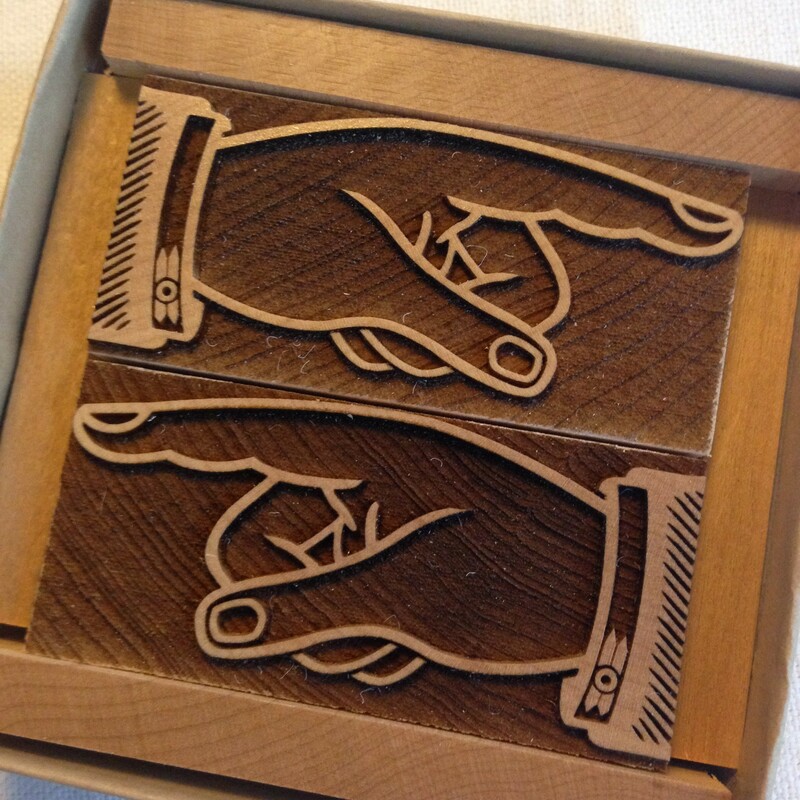 If you are ordering one manicule for a printer as a Holiday gift, stocking stuffer, or an after holiday gift (if you wait to long) remember it will print pointing the opposite direction as the new wood type.